This past week Amy and I went to Clyde’s on M. street for dinner. Our original intention was to try Old Glory Barbecue since I was really craving some pulled pork and cornbread, but when we got there, it turned out there was a wedding reception going on for the rest of the evening. I’d never been to Clyde’s before, despite the fact that it’s a classic. 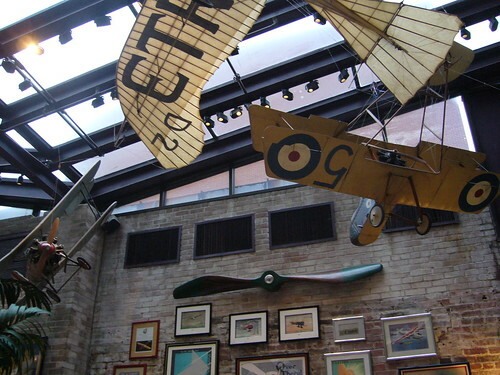 When you enter the restaurant, you can see why it’s a Georgetown favorite – the wood paneling, the old-school aviation decor and the long bars. We were seated in a nice area in the back where there were sky lights, so I didn’t have to do anything with the point and shoot I brought along, even though the tables were a bit cramped. 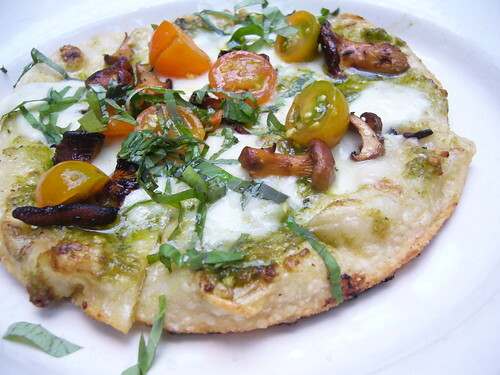 Amy and I ordered the grilled pizza – mozzarella, cherry tomatoes, basil pesto and chanterelle mushrooms – as an appetizer which turned out to be surprisingly good. The exterior of the crust was really crispy while the interior still doughy soft and there was definitely a good glug of extra virgin olive oil in that pesto. 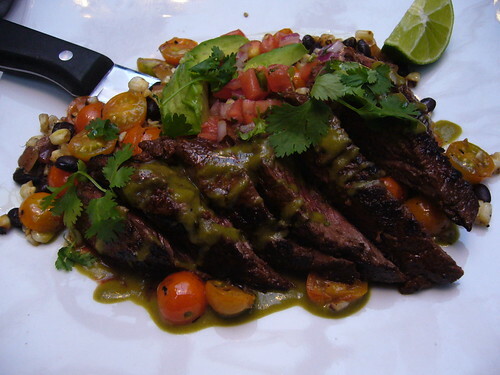 My entree was the chili-lime hanger steak with roasted corn, pico de gallo, and black beans. Though there could’ve been a bit more seasoning with the salad, the meat was perfectly pink and not stringy at all, which is usually a problem. 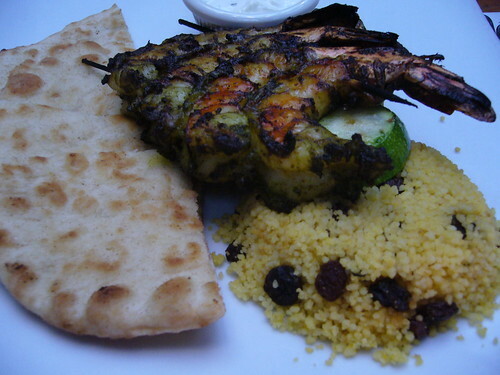 Amy’s grilled shrimp looked HUGE and delicious, although I didn’t get to try any because I already had my own food to contend with. Verdict: Clyde’s is good, but not great. The ambience certainly gives the restaurant extra points, but I’m going to have to try their brunch before on deciding how I feel about the place. Also, just wanted to mention that I’ll be taking a two week hiatus from posting. I’m taking the LSAT on September 26 and it’s SERIOUSLY crunchtime for me. People keep asking why I’m taking it so early as a junior, but truth be told, I’ll be graduating a year early (this coming May to be exact) and applying this fall. I have no idea what’s gonna happen after I take the test (who knows, I might even have to take it again >.<) and I don’t even want to think about it right now. See you in two weeks! I’ll probably cook/bake/grill/fry something to celebrate afterwards. You are currently reading Georgetown Clyde’s and a Two Week Hiatus at Notes on Food.